Who’s keeping an eye on things when you are not there? Whether you are using your cameras for convenience or for securing your loved ones and your property, Security Cameras are very popular and more affordable than you might think. 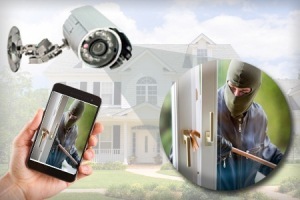 A security camera system can keep you in touch with what is going on at your home or business. Our systems can be viewed and recorded both on-site or off. At your request, live and recorded events can even be viewed via the internet. So whether you are at your desktop or your laptop you can always keep a watchful eye.